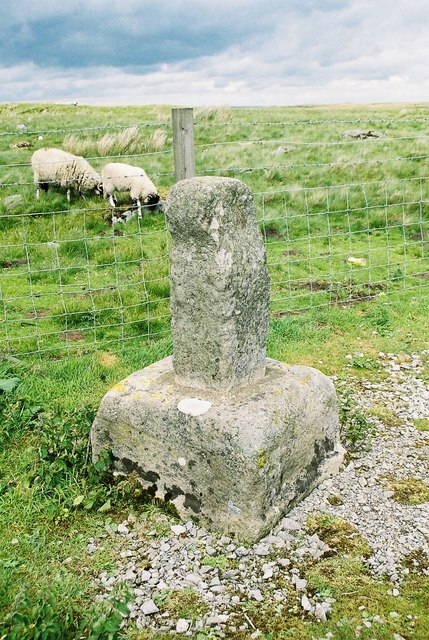 On the north side of the A66 in the middle of bleakest Stainmore stands a stump of a cross set in a stone socket known as the Rey (or Rere) Cross. Until the 1990s it stood a few yards to the west (at NY900123), but following road widening was relocated to its present location after a brief stay at the Bowes Museum. As with many such relics, the landmark’s origins and general history are a confused mix of legend and fact. It seems likely that it was raised in the tenth century, and, since it is said to have once bore Viking carvings, has become linked inexorably with that most infamous of Northumbrian kings, Eric Bloodaxe. Eric enjoyed two brief spells as Norwegian ruler in these parts in the mid-900s, and his supposed death in battle on Stainmore have led many to believe that the cross acted as some sort of memorial to either the battle itself or Eric’s burial spot. However, no bones have ever been found near the (original) location of the cross, despite limited searches. 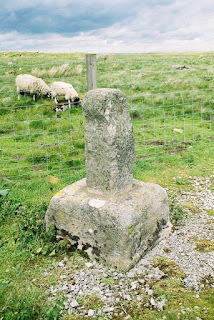 The word ‘Rey’ or ‘Rere’ probably derives from the Old Norse hreyrr, meaning "boundary cairn", so it is perhaps more likely that the cross was originally simply a boundary marker between Northumbria and Strathclyde erected at some point during the mid tenth century (on the orders of King Edmund, c.945, it is reckoned). The fact that Eric Bloodaxe may have died in battle or in some sort of ambush there a few years later is probably coincidental. The cross (possibly of wheel-head form) would originally have been around ten feet high. Its really old and it definitely has some history. Coincidents do happen. They take a lot of time.